Tierra del Sol Housing Corporation was awarded the Rural Business Enterprise Grant from the United States Department of Agriculture-Rural Development. The grant is de- signed to provide loans to rural projects to fund small and emerging rural businesses to assist with business development. The loan is available to small businesses for working capital, machinery, equipment and project planning. Tierra del Sol was successful in lending out over $92,000 in business loans to the rural communities of Dona Ana County. 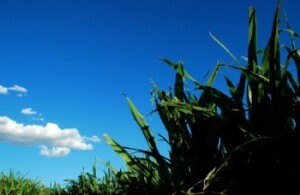 Included among these successful businesses stands out a farming business that has been around for many decades. The farm has been a family business for generations and has been passed down from one generation to another. The father has passed down the farm and its legacy to its sons and daughters and this generation is preparing to pass it down to its sons and daughters. The Maldonado Farm, located on Highway 28 in La Union, New Mexico, is well known among the farming communities of Southern New Mexico. Owned by Evangelina Saenz, Carmen Garcia and Enrique Maldonado, the farm is a year round cornucopia of crops. The farms land is in constant crop rotation with chile, onions, alfalfa and corn. The family has always enjoyed working their land and selling their products to the local economy. They want the local people to enjoy what their hard labor has produced. The Maldo- nado’s, however, decided that they wanted to share their land with the people of the surrounding communities in a particular way. 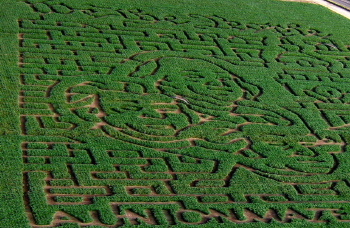 The Maldonado’s decided that they would form a corn maze during their fall crop season. The Maldonado’s have been very successful in attracting people from the different rural communities of Southern New Mexico, Las Cruces, El Paso and even Juarez, Mexico. They market to people of all ages, farmers and non-farmers, schools and all those that are interested in having fun and that are interested in how farming has impacted our re- gion over time. The Maldonado’s wish to continue their farming legacy by creating this yearly event for the people but in order to maintain their business and expand it to new limits the Maldonado’s came to Tierra del Sol for assistance. The Maldonado’s were ready to expand their business by adding all these events and new features to it but they needed the capital to do it. The Maldonado’s heard that Tierra del Sol could make this possible with their RBEG loan to small businesses. The Maldonado’s decided to apply for the RBEG loan through Tierra del Sol and was successfully approved for its loan. 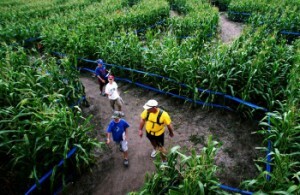 The Maldonado’s were lent a total amount of $35,000 to finance their corn maze operations. The Maldonado’s were able to apply these funds to the creation of their new activities which in turn allowed them to hire additional staff to oversee these activities. The Maldonado’s were not only providing additional entertainment to their corn maze but were also creating job opportunities for the people of the communities. They were also able to buy additional vending booths and other necessary equipment that would facilitate their corn maze operations. Tierra del Sol is proud to be able to assist and make a difference for the small businesses of our rural communities. The Maldonado Maze is a great example of the success that Tierra del Sol has with its genuine programs and also the assistance of the USDA-Rural Development with granting Tierra del Sol these RBEG funds to provide to the small business of our rural communities. Tierra del Sol is here to assist other small rural businesses with the opportunities they need to be successful as the Maldonado Maze has proven. Tierra del Sol would like to assist other small existing or expanding businesses to follow in the footsteps of the Maldonado legacy and their Maldonado Maze. This maze would provide a part of their land to the people. They wanted to share their farming legacy with the people around them. With the corn maze the Maldonado’s would share the joy and the rewards of the lands that they have worked on very hard for generations.